If you suspect that your hacker friend is secretly using your Google account (which can range from YouTube to a large number of different services by Google) without your knowledge, then you’ve come to the right article. The easiest way to secure your Google account is to log out from every logged in location and changing your password to a new one. If anyone’s getting confused, GMail Account is equivalent to Google Account. STAGE 1 – How to remotely log out of Google? Log in to your Google Account on mail.google.com. Click on Details near below Last Account Activity. A new window will open with a button of Sign out all other web session. Click on it. Congratulations, you have successfully remotely logged out of Facebook from every place you forgot to log out earlier. 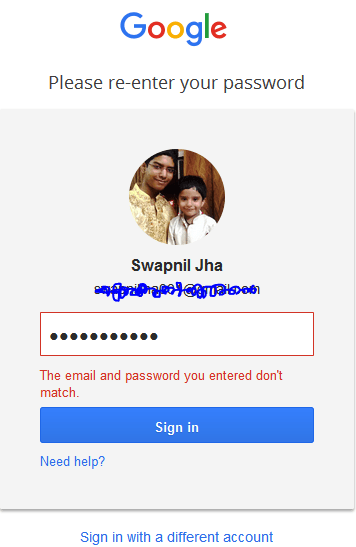 STAGE 2 – How to change my Google Password? Click on the Gear icon to reveal a menu. Go to Account and Import tab > Change Password. You will this page. Just type in your new password in both the columns. Click on Save Password. Do give us feedback in comments below. Note – These tasks can be accomplished from mobile devices as well, following the similar steps. Image Source – mail.google.com and wired.com (Featured image).